Clover’s inhouse engineering team combines specialist technical knowledge, creative thinking and on-the-job experience, to offer our clients a range of project planning and consultation services. We harness an extensive global network of product partners to bring our clients the competitive advantage that comes with choice, quality, availability, and cutting-edge innovation. In a project based industry, timing is everything. At Clover, our approach to supply and distribution is based around a dedication to consistency, responsiveness and service excellence. 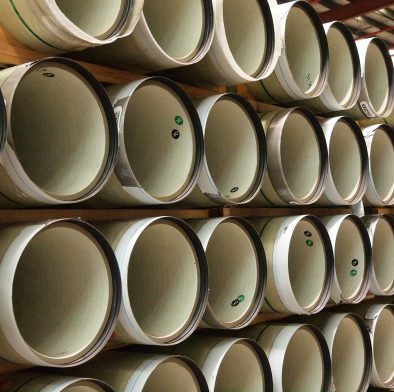 We offer an extensive range of high-performance Australian manufactured PVC pipes, including our latest generation Oriented PVC (PVC-O). Ductile iron pipe and fittings provide long term efficiency and protection for diverse water and wastewater applications. Our range of GRP pipe products offer structural strengths and abrasion resistance for optimum performance within high pressure applications. 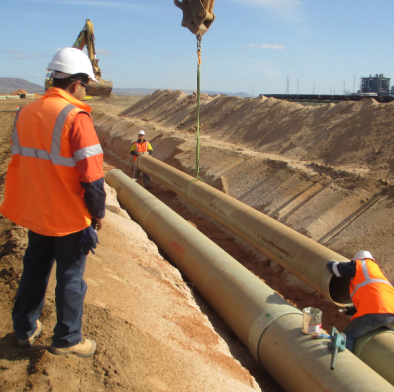 Polyethylene (PE) pipe and fittings are a tried and tested option for a variety of pipeline applications across Australia and the Asia Pacific. Our range of arc-welded steel pipes from Erciyas Steel Pipe Co. continues to broaden our capability as a non-biased pipeline provider. Our versatile range of valve and hydrants provide robust support for water, sewage, and commercial infrastructure systems. Our range of quality couplings and adaptors provide permanent solutions for joining pipes in water, sewage and industrial applications. We connect our clients with an extensive product suite and an end-to-end offering that's delivered with exceptional service. We believe in new ways of doing—and at Clover, we do things differently. We invest in individuals backed by decades of experience and a technical appreciation for the work we deliver for our clients. We partnered with Sundrop Farms, a leader in sustainable horticulture for dry climates. A truly pioneering organisation, they engaged with the Clover team for the planning and supply of a GRP pipe system. In the unforgiving South Australian outback, a business is only as innovative as the operating infrastructure it relies upon. Sundrop Farm’s capability allows them to grow high-value crops in barren areas using seawater and sunlight. 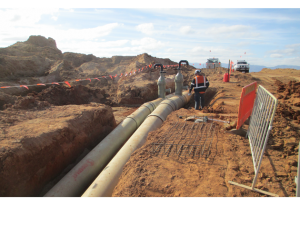 When it came time to design and construct a parallel trench for the delivery of desalinated water for Sundrop’s inventive saltwater irrigation system, we knew we were up for an exciting challenge. Clover’s Superlit GRP pipe system was selected by the Sundrop Farms team due to its proven ability to transport salt water without the risk of corrosion. This was a key selection criteria for the project. Sundrop apply a revolutionary approach to agriculture. The facility grows 15 million kilograms of tomatoes each year using desalinated water and solar-thermal technology from abundant renewable resources. As a result, their infrastructure needs to handle high volumes of salt water over extended periods of time. The GRP aligns with the innovative methodology and perfectly accommodates Sundrop’s specific operational requirements. 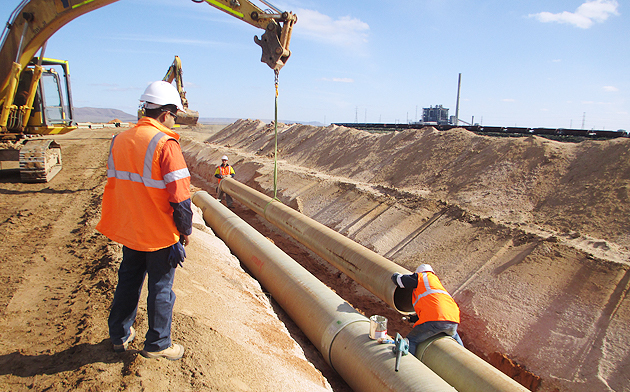 The pipeline sources sea water from the Spencer Gulf in South Australia and delivers it to a state-of-the-art 20 hectare greenhouse facility in Port Augusta. The team demanded a solution with long life span and a system that was fast and easy to install, with no requirement for site welding. The GRP handles the hot and dry environment exceptionally well and the pipes superior green credentials were an important factor for a business with a focus on sustainability. Planning, source and supply of GRP pipe, fittings and accessories. The team consulted with relevant stakeholders through project planning and construction phases, including detailed examination of parallel trench design and installation training from our in-house engineering team. Total project cost $175 million. To continue in the spirit of innovation, the Sundrop solution featured a mixture of both buried and above ground pipelines to maximise operational efficiency in the challenging site conditions. Thanks to our Superlit GRP and Sundrop’s inspired approach to farming infrastructure, the team now saves 700 million litres of freshwater and 14,000 tonnes of CO2 equivalent per year. Everyone at Clover is proud to have worked with a pioneering business to develop such a unique and groundbreaking solution. Harnessing innovative Clover quality in the harsh Australian outback. While our GRP jacking pipe is ideal for a host of different systems, it is trenchless technology that enables its full implementation. Our range of GRP pipe and fittings are manufactured for structural strength and stiffness within water and stormwater applications. If you'd like to learn more about our ability to support sustainable solutions and projects, get in touch with our specialist team today. Stay future-facing with insights from the Clover team. Our newsletter is where we share our latest product resources, technical documents, industry news, and market insights for your next project. Delivered on time and in full—straight to your inbox. Get in touch with our team so we can support the planning, source, and supply your next project. We endeavour to reply within 1 business day. If you have an urgent matter, please call your nearest Clover branch. Looking for exclusive product and industry updates? Sign up to our newsletter for future facing insights, technical resources, and the latest product data on our range—delivered on time and in full, straight to your inbox.